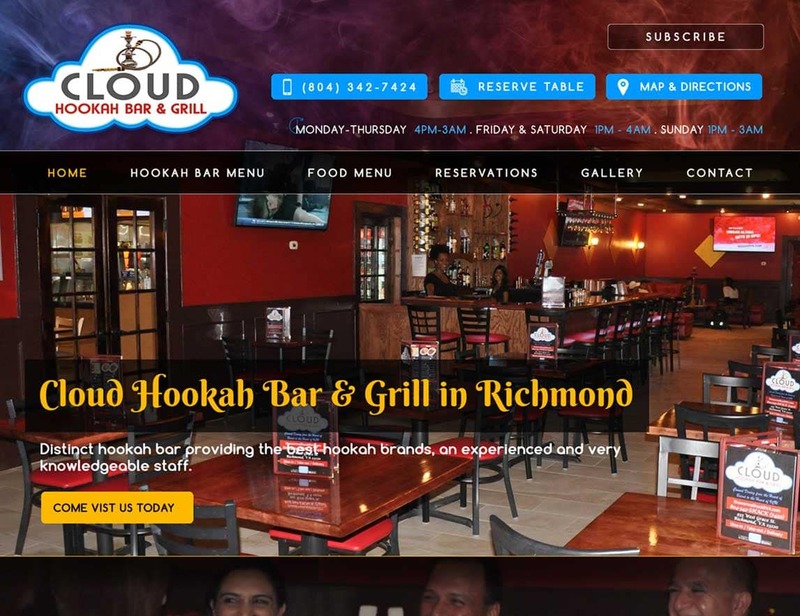 We create results driven websites that power your Hookah lounge business. You run your Hookah lounge and we’ll run your website. You can’t afford to waste time and money on big box template website companies who promise you results but fail to deliver the goods. You want an Hookah lounge web design expert who understands your needs. We’ve got your back! We provide services to a long list of lounge, bar, cafe website design customers. Our clients from every corner of the hospitality industry. We are web design hospitality industry, vacation rental web design experts. You need a partner who understands Hookah lounge business. Want a new burst of creative of energy to super charge your Hookah lounge website? It’s time to call VISIONEFX. VISIONEFX, a professional Web design company providing services to investment advisory firms throughout the United States. VISIONEFX has top Google Reviews posted on Google My Business pages. Read our reviews and contact our website customers. They will tell you our web design and web maintenance services are second to none.